What a Will Can Not Do? There are certain property issues that a Will just can’t do. Some of the properties that you can’t leave through your Will are estates you own in joint tenancy with someone else, because it will immediately go to your co-owner when you die. The properties you’ve placed to a living trust are also things you can’t leave to your Will. If You Have Named a Beneficiary – Another is the life insurance policy you’ve named a beneficiary to. If you have named a beneficiary to any of your retirement plans, then you can’t leave them through your Will. This is the same with your stocks or bonds that you have named a beneficiary to. The money you put in a payable-on-death account of which you’ve named a beneficiary to can’t be placed on your Will. You can change the name of the beneficiaries to these properties by contacting the providers or the brokers. Funeral Instructions – Wills are usually found days or weeks after a person dies. By then, it would be too late for funeral service plans. This is why it is important to inform your executor where to find you Will. Estate Taxes – A Will can’t let you avoid taxes if your estate owes federal estate taxes. It is best to avail certain trusts to reduce tax liabilities or postpone them. Probate – The property you leave through a Will usually spends months or one year in probate court. Hire a lawyer to avoid this. 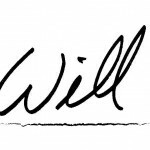 There are some legal limitations on what you can’t do with your Will. For example, you can’t leave a gift that is part of the divorce, marriage and religion change of the person whom you will be leaving the Will. You also can’t leave a Will for illegal purposes. Long-term care for a certain person. It is better to set up a trust for this type of benefit. If you want to make sure that you are allowed to leave through a Will a certain property and that it reaches the right hands, it is always best to consult and hire a lawyer. Fill the quick Enquiry Form available on the right of your computer screen and get immediate legal help from expert lawyer.